Nipuna TV is a Telugu entertainment channel of different categories, from news to entertainment. Talking about online television, YuppTV has emerged as one of the most popular names. We offers high quality picture and sound and most importantly, brings all the favorite TV shows for their clients. Be it regional movies, talk shows or reality shows; YuppTV has to offer everything to its viewers. 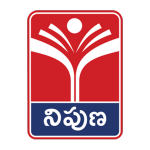 For the Telugu audience, YuppTV has come with a separate section, which is Nipuna TV. Those who watch T-SAT Nipuna TV live, have access different Telugu TV programs like Popular Movies, News Channels, Sports Channels, Entertainment Channels. Apart from these, there are tons of other options users can choose from. Nipuna TV has become one of the most popular choices for the Telugu community scattered all over the world. They can now easily have access to their favorite television shows. Nipuna TV is Not Available in Middle East Countries.